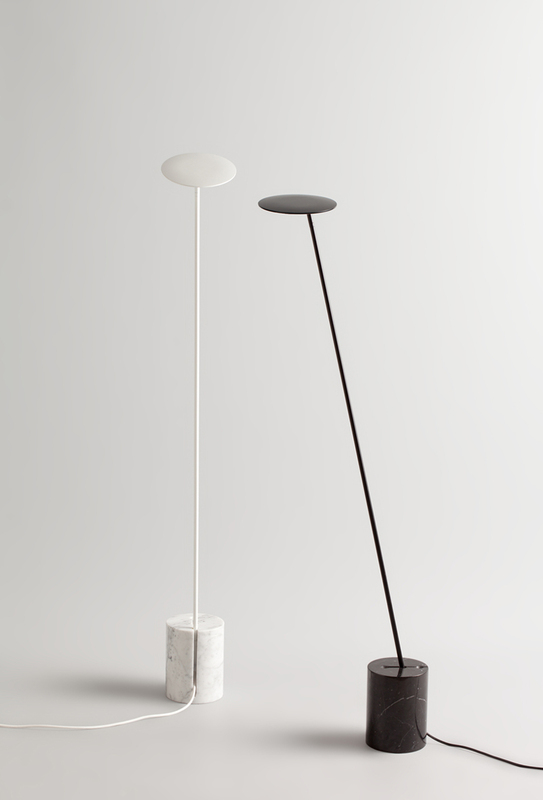 The minimally designed floor lamp, called Circles, has been created by Valencia-based designers Kutarq Studio. 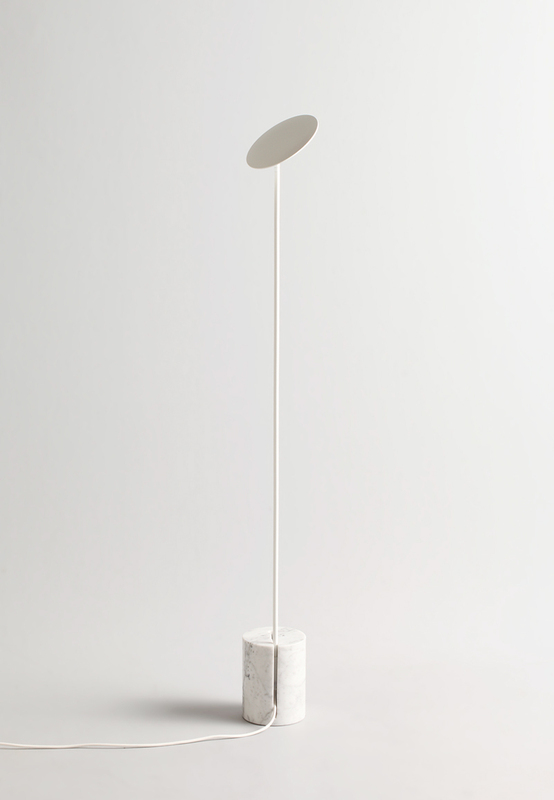 This particular piece is the latest in a collection of the Circles Lighting Collection. The design, in essence, is very simple with a thin metal structure carefully inserted into a cylindrical marble base. The clever design comes from the three available positions that are made possible due the carved cut-outs within the base that the thin metal body sits within. Upon the metal body sits the head (an LED board) which can be independently tilted and rotated to any position required. 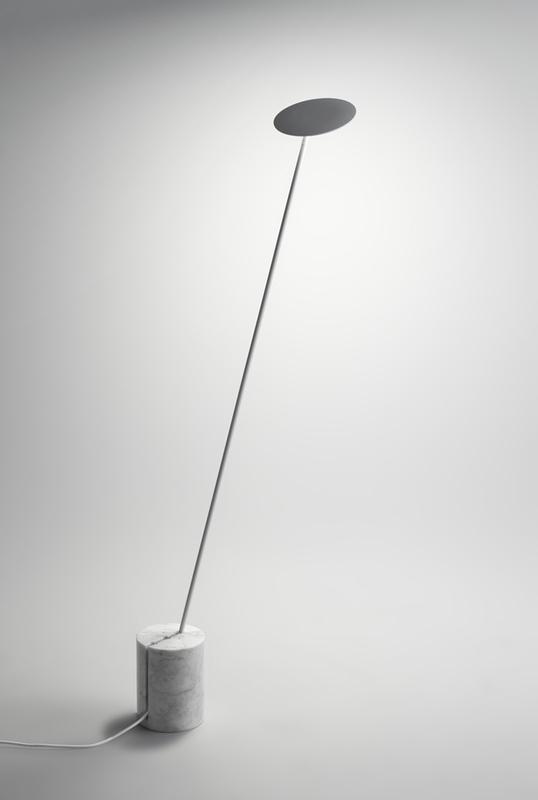 The reading light can be adjusted thanks to the dimmable mechanism within the light head. The solid marble base comes in a polished black Marquine or white Carrara. Find more from Kutarq Studio.